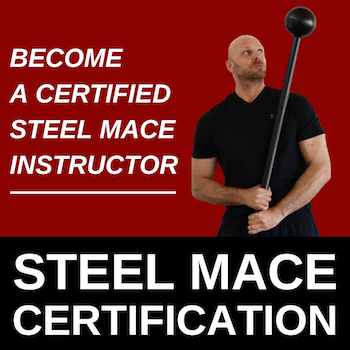 Become a fully certified mace instructor with our Online Steel Mace Mastery certification course. You will get instant lifetime access to this online course and discover 41 modern mace exercises, traditional mace exercises like the 10-to-2 and 360… AND a whole lot more! Our FFC mace certification is accredited with Fitness Australia and recognised Worldwide with the International Confederation of Registers of Exercise Professionals (ICREPS). BONUS: REGISTER TODAY AND RECEIVE YOUR VERY OWN STEEL MACE… FOR FREE! The online certification is accredited with 4 CECs with Fitness Australia.